NEW CHALLENGE: Frances Diver will begin as Barwon Health''s chief executive officer on 30 April. 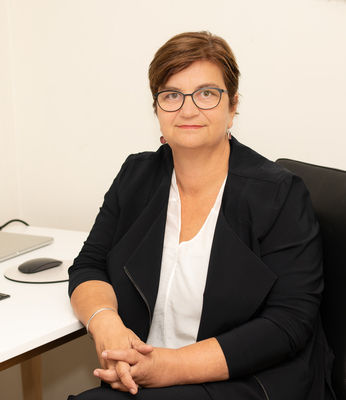 Former midwife and CFA boss Frances Diver will take the helm at Barwon Health following the sudden departure Ruth Salom last December. Barwon Health board chair Brian Cook on Friday announced Ms Diver would commence as chief executive officer (CEO) on 30 April following “an extensive international search”. “Appointing a person of such high calibre, with such a solid background in leadership, is a real coup for Barwon Health,” Mr Cook said. Ms Diver worked as a nurse and midwife before taking up leadership roles at Monash Medical Centre and Bayside Health. She worked in various positions at the Department of Health and Human Services over 12 years and was CEO of CFA from June 2016 to late 2017. Mr Cook said her relationships with the department would be “real assets” to Barwon Health as it commenced planning for its 2020 to 2025 strategic plan. Ms Diver had developed strong relationships with government, community stakeholders and industry CEOs, Mr Cook said. Ms Diver said she was looking forward to working and living in Geelong. “Geelong is a vibrant city that is evolving and changing. Mr Cook thanked chief financial officer Cobus Lotheringen for stepping in as interim CEO after Prof Salom quit. Prof Salom was on leave when she departed, and failed to notify Barwon Health’s board before publicly announcing her resignation according to union allegations. In a statement revealing her resignation she spoke of “equality between sexes” and suggested Barwon Health had failed to modernise its practices. But Victorian Allied Health Professionals Association (VAHPA) assistant secretary Andrew Hewat accused Prof Salom of abandoning her post and using gender issues as an excuse. “Being an employee at Barwon Health has its pitfalls but I wouldn’t have said that gender equality is one of them,” he said. Mr Hewat repeatedly accused Prof Salom of plans to privatise certain services last year, while she described the allegations as “misleading”.